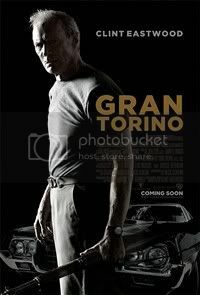 The last news about Gran Torino. Don't expect to go away easily if you try to steal the beloved 1972 Gran Torino of Clint Eastwood! Watch the trailer soon. 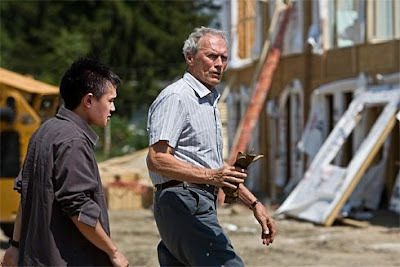 Gran Torino is an upcoming drama / action movie, directed and starring Clint Eastwood. The movie, still in post-production, is set for a December 2008, but no official date as been announced yet. "I’m a weirdo in it. I play a real racist. … It’s a great time in life (to do that) because, you know, what can they do to you once you’re past 70? There’s nothing they can do. But it also has redemption. This Hmong family moves in next door, and he has been in the Korean War, in the infantry, and looks down on Asian people and lumps everybody together. 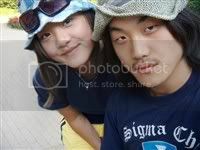 But finally they befriend him in his time of need because he has no relationship with his family." 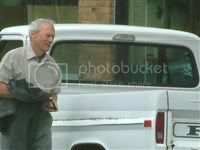 "The movie features Walt Kowalski (Clint Eastwood), a cantankerous Polish American man, played by Eastwood, who has just lost his wife and is estranged from his children and grandchildren. 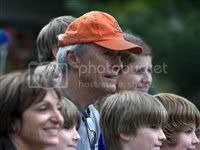 He is a grumpy, tough-minded, borderline-hateful, unhappy man who can’t get along with either his kids or his neighbors. Disgruntled that his urban neighborhood is being populated by more and more Hmong arrivals, he keeps a cautious distance. But the teenage boy next door Tao (Bee vang), tries to steal his beloved vintage 1972 Gran Torino car to prove himself to a Hmong gang. The role of an angry old veteran seems really fit for Clint Eastwood. That's an interesting movie ahead. Besides it will shed a new light on the Hmong-American population: they sided with the USA during the Vietnam war but were just left alone once the war was lost to the communists... Even today there are still Hmong refugee camps in northern Thailand. May this movie help to give them a better recognition!